Nancy F. Hogan, 92, formerly of Plymouth, died Sept. 9, 2018, at Bellamy Fields Assisted Living in Dover after a period of failing health. 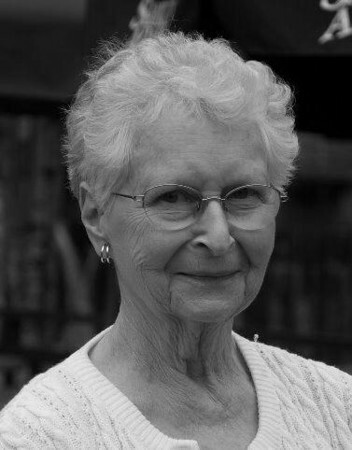 Born in Terryville, on Feb. 3, 1926, she was the daughter of Thomas Joseph and Inez (Burr) Finan. She was predeceased by her husband of 36 years, James J. Hogan. Nancy is survived by her nine children, Nancy J. Galante and her husband, Peter, of Melbourne, Australia; James J. Hogan and his wife, Robin, of Holderness, N.H..; Barbara A. Hogan of Concord, N.H.; Linda M. Hogan of Portland, Maine; Paul T. Hogan and his wife, Pamela, of Bow, N.H.; Michael J. Hogan and his wife, Lita, of Londonderry, N.H.; William R. Hogan and his wife, Beth, of Grand Rapids, Mich.; Margaret H. Folan and her husband, Michael, of Alton, N.H.; Mary H. Hogan-Mallon and her husband, Bill, of Cumberland, R.I.; ten grandchildren and seven great-grandchildren; her sister, Harriet Bleau and her husband, Ernest, of Bristol; and several nieces and nephews. A Mass of Christian Burial will be celebrated in Holy Trinity Parish, St. Matthews Church, School St., Plymouth, on Friday, Sept. 21, at 11 a.m. The Hogan family’s dear friend, Rev. Robert F. Cole, Pastor of Saint Katherine Drexel Catholic Church, in Alton and Wolfeboro will be the celebrant. Burial will be held at the convenience of the family. Posted in The Bristol Press, on Wednesday, 12 September 2018 19:17. Updated: Wednesday, 12 September 2018 19:20.